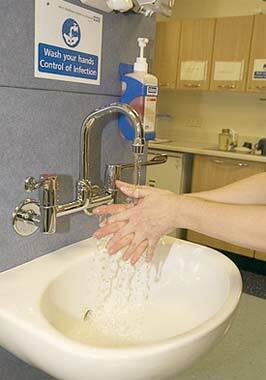 CDC’s Slogan: “Hand hygiene saves lives.” Hand hygiene is critical for all of us. It has been identified as the single most effective means of reducing the spread of infection worldwide. Researchers have reported that healthcare associated infections were reduced when hospital personnel washed their hands more frequently. Hand hygiene is a new term to describe hand washing and the hand disinfection process. We pick up “transient flora” when our hands touch objects in the environment. “Resident flora” are organisms that are normally found on the skin on our hands. Hand washing removes the transient bacteria, viruses and decreases the levels of resident flora on the hands decreasing the spreading of germs. By removing the transient flora by hand washing the healthcare associated infections (HAIs) rate decreases. Here’s to sharing the news with others about the importance of hand washing (hand hygiene) and stop giving germs a free ride. This entry was posted in Infection Control on August 25, 2013 by cdifffoundation.